Most people who happen to enjoy eating lobsters often have a particular way of preparing this kind of sea food. After a successful dive back in Florida, where one has been able to catch a few lobsters for his or her meal, they just drop the lobsters in boiling water and smear them with melted butter on a platter. However, this method does not apply to everyone. Some chefs in Florida have come up with brilliant ideas on how to prepare the meal. Preparing the lime butter is the first step since it is the one ingredient that will make the lobsters develop a richer taste. One requires a ¼ cup of fresh lime juice. The lime fresh lime juice should then be blended together with salt, pepper and garlic. After ensuring that the ingredients have mixed uniformly, add melted butter and blend until the texture becomes smooth. Take the lobster pieces and slice them lengthwise into half, and brush them with the lime butter that was prepared earlier. This is done before grilling the lobster. In the case of preparing lobster tails, grill the tails sliced part facing down, until the shells turn to a lighter shade. This should be done for 4-5 minutes. Then turn the pieces the other side and brush some more lime onto the pieces. After grilling for another 5 minutes, the pieces should turn white. Remove them from grill and set them aside to cool. Do not overcook. Two parts of smoked paprika are then added to one part of salt and pepper. Fry some sliced plantain chips in coconut oil, until golden brown. Remove the chips from the oil and toss in a generous amount of the spiced paprika and let it dry on a paper towel as it cools. Remove the lobster meat from the shells and cut into big chops. Make a mixture of hot pepper, green onion, sour cream, mayonnaise, a pinch of chopped parsley, and one table spoon of lime juice. Dip the chops of lobster meat into the mixture lightly. Then, take some sweet rolls that have been sliced down the middle and butter the inner sides with the lime butter lightly. Toast the rolls on the grill for a few minutes. Finally, put the lobster in between the rolls and serve with plantain chips. You could add some lime wedges as garnishes! It is important for people to surprise their pallets once in a while. People who are eating lobster for their first time need to know that they can have it in one of the most delicious ways possible. Florida is one of the premium lobster destinations. 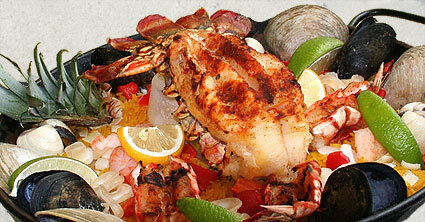 Florida is best known for preparing the best melting pot of diverse dishes. There, lobsters are prepared a unique way, with unique garnishes and served with melted butter. Anyone planning to make a trip to Florida should remember to apply for esta. This will literally become their ticket to the tastiest and most spectacular dishes. Flora, a passionate traveler and blogger who shares her thoughts one various topics she came across. As a solo traveler shares her stories on many blogs. Presently she is working for esta which provides an authorization to USA.